It’s become a familiar cliché, a trope we’ve all seen all too often in movies, TV, and books... Strangely, though, when I was growing up, I was never, not once, asked to write an essay about what I did on my summer vacation. It would have been a pretty easy essay to write: as a kid, I spent my summer holidays exactly the same way I’m spending this one: reading. Sure, now I’m reading in my comfy chair in my office (usually with a cold beverage of the adult variety) rather than in a tree or in the hayloft (usually with a bag of penny candy from the corner store)—but the reading has remained a constant. It’s the same way for independent booksellers across the country, including the five in this month’s installment. From a modern Canadian classic to a masterful YA book to a uniquely Canadian publishing situation surrounding one of the most controversial books in recent memory, the reading choices are as individual as the booksellers doing the reading. And what are you reading as the dog days of summer set in? And can I still get a little paper bag of penny candy anywhere nearby? This novel is destined to become a Canadian classic; it is one of the best BC books I've ever read. Part coming-of-age, part family drama, part nature writing, with some mythology and romance mixed in. A beautiful story. Bonus: Anderson-Dargatz has also written the sequel to this story, Turtle Valley, which revisits the main character years later. Anything can happen in the Infinitum, even a time-traveling agent helping solve his own case. Chomichuk plays with and melds genres as ably as he toys with time and paradox in this stunning graphic novel from ChiGraphic. 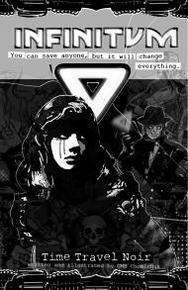 Agents of the Paradox Bureau can save anyone, but it will change everything. On the surface, Nielsen's latest YA read is a story about a popular girl and a slightly odd boy who find themselves "Brady Bunch'ed" when their respective single parents connect and move in together. When you look deeper, however, you find that this is story about finding yourself when the world around you is changing. Stuart has lost his mother to cancer, but still believes that parts of her exist in the molecules around him. Ashley is desperate to catch the attention of the handsomest guy at school— and to pretend that her parents' divorce was NOT because her father came out. These characters aren't perfect, but they are realistic. Nielsen's deft hand with humour keeps things well balanced, and there are some truly lovely moments as each character must face some truths about themselves. 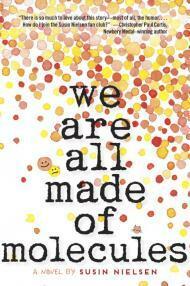 Looking for a great read for that hard-to-buy-for kid in Grade 7–9? Look no further. Expect to see this one on the fall nomination lists. 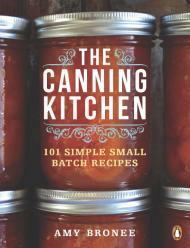 The Canning Kitchen offers up 101 delicious recipes to preserve the summer bounty of fruits and vegetables. Simple, straightforward instructions will have you putting up preserves like a pro in no time, and enjoying them all year round. John Colapinto is relentless, caustic, and fast becoming a favourite. Dez’s privileged life has hit a rough patch, but when he sees an author on an afternoon chat show who’s hit the big time, this mercurial piece of meanness puts together a bulletproof extortion plan. 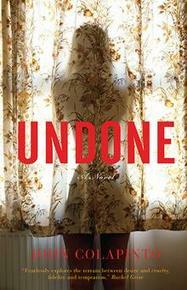 Undone is a lot of funny and a lot of uncomfortable: a penetrating look at the decency and the absolute indecency present in the modern guy. Colapinto’s new novel was deemed too racy, too controversial, too who-knows-what for the American market, so this American writer (born in Toronto) pubbed in Canada under the expert eye of Patrick Crean. If there's a better editor in this country, I've never heard from them. This is great fun, and not for everyone, but keep in mind that incorrect human behaviour is considerably more interesting than correct human behaviour. And it should be noted, that while the masses will go to the recently-released E.L James offering for a deficient man's view of modern sexuality, the better offering is in all likelihood not hard to find.